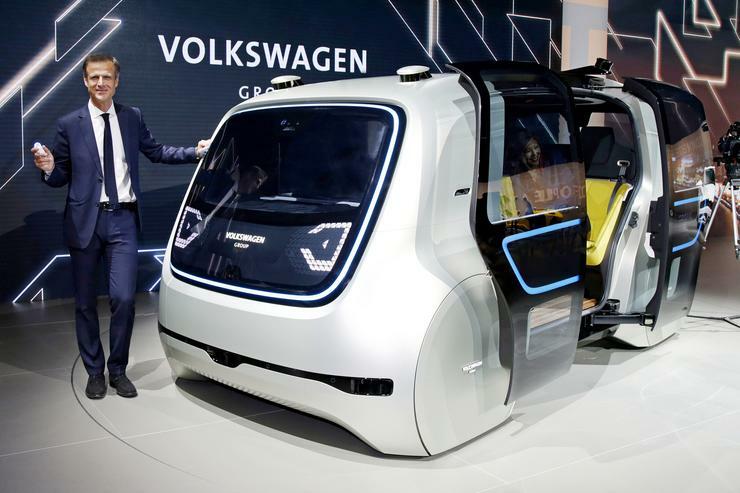 Sedric is Volkswagen's first crack at a fully autonomous car, and as such, it doesn't have pedals or a steering wheel. Instead, the concept car is summoned by pressing a button and "driven" by a voice-controlled AI agent. Passengers pile into its spacious interior through two sliding glass doors and can enjoy a movie on the car's OLED windscreen.